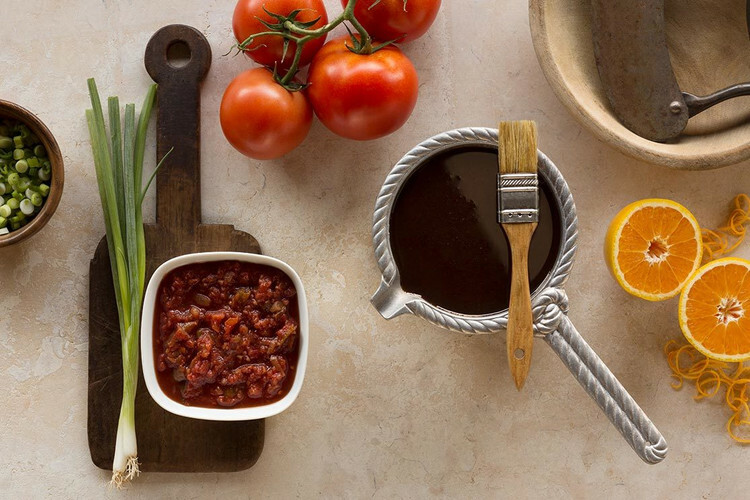 Our delicious sauces, salsas and other products are inspired by the Santa Maria tradition of crafting unique, flavorful combinations using high quality, locally-sourced ingredients. We gather plump California tomatoes, strawberries and citrus, locally grown chilies, onions, garlic and herbs to create our Santa Maria style products – many of which have been perfected with generations of culinary expertise at our family restaurant, the Far Western Tavern. These family recipes have been enjoyed by diners at our restaurant since 1958 and now everyone can share our passion for Santa Maria style cuisine with these unique sauces, salsas and more. Use them as the perfect complement to your favorite Santa Maria style recipe.